One of the must-haves in my nappy bag is my cherished bottle of hand sanitiser. I use it after each nappy change, trip to the bathroom and even after I frequent the ATM (seriously, have you seen those segments on current affairs shows where they swab those things? Eww!). But something I hadn’t thought too much about was the amount of chemicals that’s in these products. If they’re that unkind to germs in the enviroment, just what are they doing to my – not to mention my baby’s – skin? Well, now there’s a website that can tell you everything you want to know. The Good Guide has reviewed a selection of the most popular brands and has come up with a best of the best list for you. So what exactly is in hand sanitisers? They’re mostly alcohol-based and use an anti-microbial agent that works by disrupting the metabolism of bacterial cells. The concern is the amount of ethyl alcohol absorbed by skin. Although generally thought to be a safe limit, in 2006 US poison centres reported almost 12,000 exposures to hand sanitisers including over 9,000 in children under six. So for that reason alone, it’s best to keep santisers out of the hands of children. 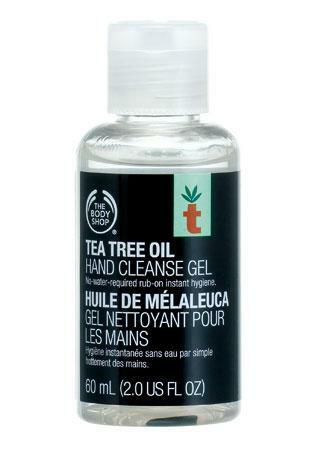 The highest rated hand sanitiser was American brand Method which rated 8.2, while The Body Shop’s Tea Tree Oil Hand Cleanse Gel came in third at 7.9. 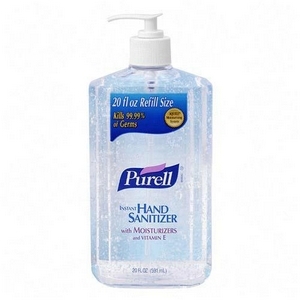 Popular brand Purell didn’t do too badly, rating a respectable 6.8.